Do you enjoy biting into the ruby red jewels of pomegranates? We do too! Their sweet tangy taste is just the thing you need to get your taste buds tingling. It is not surprising to know that this fruit is known as one of the royal fruits of the summer. Maybe that is why it has a crown atop its shell and gorgeous jewels encrusted inside? Now, you may already know that pomegranates are packed with powerful nutrients and minerals that nourish our body. But did you know that they are great for your skin too? How? 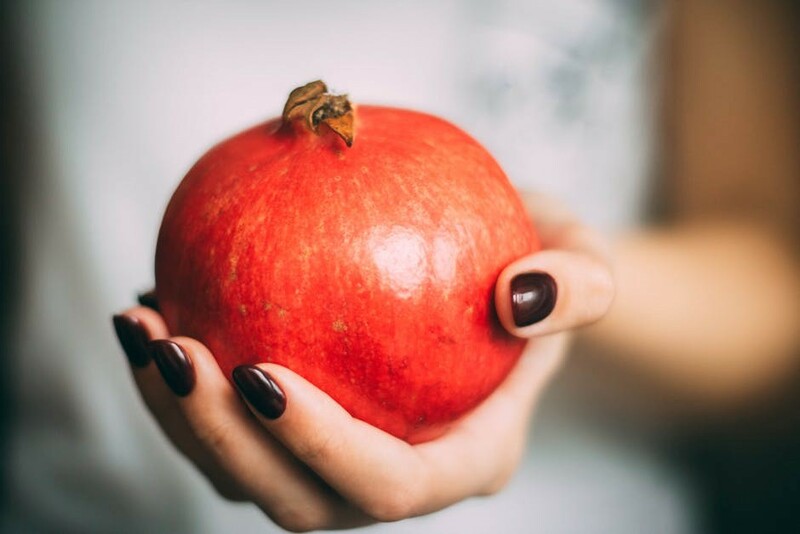 Read on below to uncover the reasons to embrace the pomegranate for a flawless skin. You can get rid of your sun spots, patchy skin, and sunburns with the power of pomegranates. The antioxidants present inside the fruit’s juice have the ability to fight against the harmful effects of UV rays that hit your skin. They also minimize the damage caused by free radicals that tend to attack your face when you are under the sun. Pomegranates may not classify as citrus fruits but they are rich in Vitamin C. The combination of citrus acid and other minerals inside is perfect for the skin. They nourish our dried, scaling skin and make it healthy again. You can use pomegranate scrubs as cleansers to give you a rejuvenating glow. Do you know why a glass of pomegranate juice is so refreshing? Studies show that this leathery fruit contains 82% water. This means that if your skin is feeling dry and dehydrated then it needs a dose of pomegranate. Regular use of the fruit on your skin will revitalize the drained out skin cells and give them the energy to glow again. The antioxidants present inside the pomegranate are able to swipe off the blemishes and acne on your face. You may already know that breakouts are caused when the free radicals are given a chance to oxidize on your skin. However, they won’t get a chance to do so when they are eradicated by your potent pomegranate paste. Moreover, any dark spots and pigmentation caused by hormone imbalance can be cleared out by topical application of the fruit. After you use pomegranates it definitely feels like you have grown a super skin. Not only does your face feel fresh but it radiates a healthy glow. More importantly, the skin becomes strong enough to resist other skin problems. As a whole, pomegranate has all the characteristics to become a sure shot favorite among people who want to keep skincare natural. They will love making pastes, masks and scrubs out of this wonderful fruit. So give those store bought masks and scrubs a break and start rubbing your skin in some pomegranate goodness! Find Pomegranate extract in Wake Up Bright Eyes, Hello Sunshine tinted day lotion and ZenRegen Perfecting Oil. Sign up for the Zenjenskin newsletter for exclusive deals and receive 15% off your first order. No worries, your info is always safe and we won’t bombard your inbox. We do not share or sell data. Easily unsubscribe at any time. $1 of every purchase goes to feed 3 meals through Manna Food Bank. All products are safe, sustainable and locally sourced. Be the first to hear about specials and skin care tips. No worries, we will never share your info, we hate spam too.